Make sure your physician employment agreements include clear and specific terms regarding the purchase, maintenance, and termination of malpractice insurance coverage. Termination language in a new physician's employment contract is a little like a prenuptial agreement: It takes some of the romance out of the relationship. But failure to spell out every detail before signature invites expensive and ugly legal action down the road. In general, today's doctors have a better appreciation for carefully worded contracts and agreements, even if it hasn't always been so. We've known many older physicians - most of them retired now - who never had an employment agreement. They shook hands with their new partners, rolled up their sleeves, and went to work. They stayed with the same group until retirement, then had the accountant figure out a price for their partnership and sold it back to the group. Today's physician employment agreements can exceed 15 or 20 pages, with addenda, appendices, and attachments that can make a young doctor's head spin. Nevertheless, many contracts fail to detail responsibilities and expectations regarding malpractice coverage. This is amazing, considering the monetary sums and legal risks involved. Professional liability premiums rank among the largest business expenses for physicians, and jury awards regularly exceed seven figures if the doctor is found liable. And yet, doctors often chafe at paying a competent attorney a couple hundred dollars per hour to draw up a proper agreement. 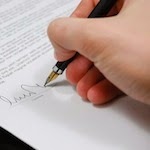 Quite often, a group practice will pull one of the existing partner's contracts, change the names and dates and whatever terms might differ, and place it in front of the new recruit to sign. Considering the rapidly changing environment in which we work today, how wise is that? Do you know for a fact that a 10-year-old employment agreement adequately addresses today's practice situation? Who pays for malpractice coverage - active, prior acts, and tail coverage? Who determines policy details, such as coverage limits and deductibles? Who pays the deductible when a claim is paid? • Who has the right to change or cancel the policy? Will the policy cover the physician for moonlighting? Who is responsible for applying for tail coverage? How does termination "for cause" or "without cause" affect tail coverage? If the physician must purchase tail coverage, when is the payment due? Can it be deducted from severance pay? Can a departing physician obtain prior acts coverage from his or her next insurer? Does the physician have to notify the group of such coverage? If your practice switched to a self-insured plan - like a letter of credit - beware that a departing physician will not likely be able to obtain prior acts coverage. Most insurers require physicians to have been covered by conventional insurance during the prior-acts period. Talk to your insurance experts about how to address this difficult issue.